Hello Readers, I am overwhelmed with your support and love for this blog and am launching a new “Interview” section . And I could not have a better guest than Nirmala Santhakumar who blogs at MyMagicFundas.com . Her simplicity makes her approachable and she helps every one who asks for her guidance. She has successfully been founder of many other blogs apart from her present Tech blog and is a successful freelance writer too. Q1. Hello Nirmala Madam, a warm welcome over here at DigitalGYD.com. You have also been guiding the Digital Lives of thousand of your readers, please tell us something about yourself and your journey as a blogger? Hi everyone, I am Nirmala, a part-time blogger. I have been blogging since 2009. I am a friendly person who hates to sit idle and have interest to help others. Writing is my favorite hobby and I like to write about technical stuffs. I completed my B.E in 2002 and got married in the same year. Due to some personal constraints, I was nudged to choose the work from home option and found some reliable sources of making money by using my writing skill. Through an internet marketer, I came to know about blogging. I started to blog in familiar niches like health, beauty & online money making and monetized them with Google AdSense. Due to Google algorithms my BlogSpot blogs were badly hit and my earnings got diminished. So I decided to learn about some fundamental blogging materials and hence connected with many bloggers through Facebook. After I gained some knowledge, I founded MyMagicFundas last year with the help of my inspiring blogger, Atish Ranjan. Q2. Being a online entrepreneur and writer tell us about your favorite gadget, current phone and favorite apps that simply you cannot live without. My most beloved electronic gadget is laptop. I have learned so many beneficial things with that portable gadget. On an average, I spend 9-10 hours daily with my laptop. Truly speaking, I don’t own a smart phone. Being a homemaker, I do have lot of responsibilities and I need take care of my family. Moreover, I want to learn some valuable blogging things and hence I give preference to connect with other bloggers. So I have no time to spend with smart phone and or any apps for that matter. Q3. Had you at first started blogging on blogger and then migrated to WP? If yes please share the experience of transition.? Yes, My blogging journey started in blogspot blogs. I had 4 blogs and maintained them for 2 years. As I already specified, they were badly affected by Google algorithms. MyMagicfundas is a new blog founded by me with a great support from Atish Ranjan. Q4. You have an awesome community of other great bloggers how important is such a relationship building and what are your views of need of a mentor in blogging? Yes of course! Network with other bloggers is one of the key successes of blogging. I have expert’s tips category in my blog and approach some great internet marking & blogging experts to provide there valuable tips for my readers. Moreover, my active participation in various blogging communities like Bizsugar, Blokube and Dospalsh assists me to associate with famous bloggers. I am in connection with some great foreign bloggers and I do regular blog commenting on their blogs. It helps me to drive traffic from overseas and I used to share their valuable posts on my network. In simple words, I would say that the relationship with other bloggers will help to take the blog to next level. Yes, it is good to have a mentor in blogging to clear the doubts. I never hesitate to hit the mailbox of my mentor (Atish Ranjan) to post my queries and act as per his suggestion. Even though he is busy with his regular job and personal works, he responds to my queries well and I feel blessed for it. Additionally, if you think mentoring is essential can you please tell our readers if they can get help in today’s world of money minded blog consultancy which newbies can’t really afford. I don’t know exact answer for this question. But I would say that most of the bloggers have great attitude to help others. Atish, Adam, Reginald, Ankit, Kulwant, Enstine Muki sir are some of the great bloggers who are well-known in the blogosphere for their helping tendency. Q5. What are your views on SEO in 2014 and what tips you would give to our readers? Searching engine algorithms are changing continuously. According to my point of view, doing keyword research, offering clear &valuable materials to the readers, basic SEO (on-page SEO) and upright social signals are essential for every blog post. Likewise, I believe that the blog comments have relation with SEO and thus I would try to engage my visitors to share their thoughts/views by asking questions related to the blog post. Commenting is like editing the post and hence I do reply for every comment with some keywords and its synonyms (not for every comment, but for some). It helps me to improve my SERP. Other than that, building reliable backlinks through Guest blogging through helpful posts is a good SEO factor. Q6. Are you associated with any other projects besides mymagicfundas ? If yes, please share with us. No, I am having only one blog but have planned to start a tech blog along with a blog for health & beauty. To improve my writing skill and to keep myself updated with recent tech stuffs, I write posts for some tech blogs. Q7. How did you start as a freelance writer and what landed you your first writing gig.? I started my freelance writing service in 2010 in iwriter and Fiverr. Because of the clarity in writing by covering key points, I got appreciation from my clients and they started assigning bulk writing projects to me. But once I got into blogging seriously, I decided to stop working for them. Q8. Being a pro-blogger what were the biggest challenges then and now as far as your blogging is concerned? I’m still in the learning mode and getting only 4-5 hours of time to blog per day. Till now I have not had any issues with my blog and it has had 90% organic traffic with 10% referral traffic. By mistake, I had once included a copy right image in a blog post. I got warning from Google and the Adsense ads were temporarily disable last year. Then I removed that post and appealed through a proper way to reinstate the ads. So I’ve started to use Pixler, an online image editing tool to edit the images and give proper credits then and there to the website from where I take the images from. Q9. What monetization techniques have you implemented on Mymagicfundas . Currently I have monetized my blog with Google AdSense and have been getting regular paid post opportunities. As of now, I am concentrating to improve my traffic for my blog and on getting sincere advices from co-bloggers to start AM. So, I’ll start doing the same for some reliable products or services soon. Q11. What are your views about DigitalGYD what would you suggest for improvement? Limitation of time is my biggest concern and thus I’m missing chance to visit so many valuable blogs. To be frank, I’m not regular to your blog. But will analyze your blog post and let you know my thoughts/suggestions. Q12. Any advice to the readers regarding freelance writing assuming that they are good at writing? What should they do and where should they connect to get a writing job online? I specially recommend iwriter to the people who are good at writing. They’re paying good and their payments are prompt. Other than that, Fiverr can be used to promote the writing skill as a Gig. Starting a blog in familiar area is also a good option to show case the writing talent. I have refused so many writing offers due to my time constrains. I got those job proposals through my blog and hence I would say that blogging is the best way to make money with writing skill. Thank you madam, for the super relatable words and giving you valuable tips to our readers. You are really looked forth by many newcomers and giving your precious time to answer the queries of them will surely benefit them in their online endeavors. I know that time is really a constraint for reading blogs and appreciate your honest answer that you haven’t got the chance to visit DigitalGYD yet, Still hoping that you will do it once you are free and give your valuable suggestions. Hope you are super inspired and got so many tips and tricks from Nirmala madam. She is so helpful that she never hesitates to help fellow bloggers and If you have doubt in any forms you can visit her site MyMagicFundas and connect with her on Google+. You can post your queries here in the comment section too. I have read your Guest posting article in bloggertipstricks blog. The article was awesome and after reading your article I have started Guest posting on high PR and authority sites to get more visitors in my alltechzoom blog. This information is also good. Thanks for your motivation. This a great interview. I did love the questions and impressed by Nirmala’s answer. First, I have Nirmala’s blog on Social media plus I remember ROHAN mentioning her in one of his post. She is one cool pro blogger that provides value in her niche. It is good to know you Nirmala and looking at your achievements in the blogosphere, you are a one tech-inspiring blogger. Thanks for sharing. More grace to your elbow. Have abnice week. I’m delighted with your appreciating words, thanks! Thank you Charan for your kind words. I feel good that I have many loyal readers like you. Keep blogging. Motivational interview Nirmala Santhakumar Madam thanks a lot for sharing with us Swadhin Agrawal. 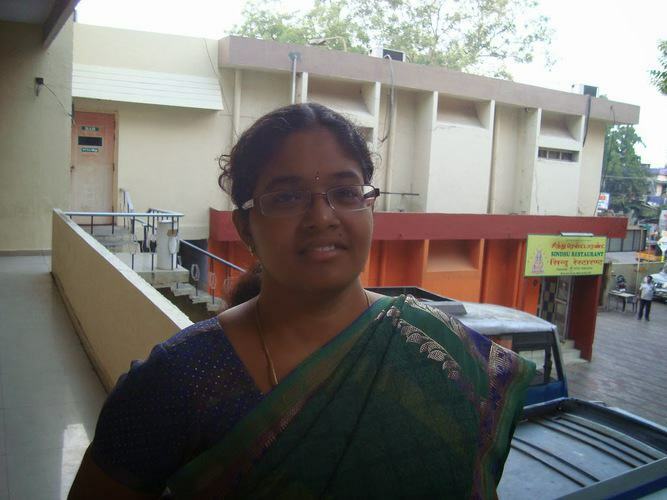 Hey Shanthi welcome to my blog. Congrats Di, for the interview. Got to know more about you and your blogging journey from this interview. Thanks Swadhin, for these awesome interview with Nirmala Di. Hi ShivKumar, quite pleased with your remarks on the interviews. Glad I could help you to know more about our Nirmala madam and thanks for reading this. Just got here from nirmala’s blog and I’m impressed with the way she answers the question. very informative. Nice and inspirational interview after reading this i found it very helpful because I’m a newbie in the world of blogging and wanna to learn lots of new things about blogging, and m sure if I’m connect with you all guys then definitely i will get a lots of things to learn. I am so glad this interview could be useful to you. Thank you for you compliments, Yes any expert had sometimes in his life been a beginner so don’t worry you can be an expert if you work patiently. Great interview has gone here and Niramala has really gave an excellent answer of each and every questions.Even she describe all aswers properly.I read all the useful answers and i enjoy a lot. Hi Sunny thanks for the compliments and I am glad you enjoyed the interview, Yes that’s the specialty of a writer to answer each question quite precisely and Nirmala madam is a great writer no doubt. Keep visiting. Nice to see your comment here, thanks for reading my interview. cheers you’ve enjoyed a lot. Hii shahnawaz welcome to the blog and it is very pleasing to hear your compliments. Really my work is done when readers like you have got something valuable from it. I would definitely add questions to it but can you suggest me what aspects I missed? You might have missed the point where Nirmala madam talks about her monitization process. As Swadhin told, I’ve revelled my income stuffs Shahnawaz, thanks for your comment. Well I’m a regular reader at mymagicfunda but I wasn’t aware of background about nirmala and I was really inspiring to read this interview. Hi Samir pleasure to see you here . :) I too am a regular reader of mymagicfundas and really see a lot of great fundas coming up there. Even I was unaware of background of Nirmala madam its been quite inspirational to know her story , isn’t it? Very nice interview. Nirmala ji has very great writing skills. Hello Pawan, welcome to DigitalGYD. Yes definitely she is a great writer and that is reflected on her blog. thanks for visiting please keep coming for more interesting things. Nice Interview Swadhin. Congrats Nirmala for the this interview session. Good question asked and nice replies are given here. Enjoyed reading this. P.S. Thanks for mentioning my name again and again in the post. Thanks for your comment with wishes Atish. I’m doing good because of your great inspiration and support. Hence I’ll spell out your name at my every stage of blogging success and need your suggestions/help forever. Hello Atish Brother good to see you here and thanks for the compliments. There is a lot of buzz in the blogosphere that you help others selflessly thanks for the attitude towards the new comers. this is definitely really helpful and a great quality to be inculcated as by sharing the knowledge it only grows . She’s surely come up in a wonderful way and it’s a pleasure knowing her, though we visit each other’s blogs rarely – again, time constraints, but the mutual understanding is always there. You are doing great Nirmala, keep going. And yes, Atish surely is a very helpful mentor, so you are in the right hands. Hello Harleena madam, I am really so sorry for the late reply I had to appear for an interview so really could not take my laptop out of station. But I am so happy with your appreciation and the fact that you could relate to the facts of Nirmala Madam. Women especially homemakers are a supernova of inspiration it is very very difficult to manage a house and then manage work too. I came to know recently after seeing my mum’s plight recently after the marriage of my sister. A big congrats for wooing Nirmala to spare her precious time and give interview for your blog. Otherwise she is so busy blogger and hardly have much time as I have observed her at social media. The way you made her speak maximum and deliver her best knowledge to readers is another great point you got and deserve a big applause. Keep it up duh. Hello Muba Sir , welcome here at DigitalGYD. Yes you are fight sir I have been extremely lucky to have stolen some of Nirmala Madam’s precious time and guess what I got so much helpful tips from her that will help me and my readers a lot in their blogging as well as general lives. Thank you so much for your wishes and kind words Mi Muba. Yeah, I am getting little time to work nowadays as I’m busy at home. So I used to spend few mins just to share my posts on Social media. I’m missing to visit so many valuable blogs, but will be on track soon. Thanks for correcting the mistake Suprabhat Mondal. Glad you’ve read this interview and leaving comment Rahul Suresh. Hii Rahul, Welcome onboard here. Glad you liked the things what madam said. keep visiting here for more. Sure, I’m ready to help newbie bloggers and contribute beneficial posts for my readers. Hello Nirmala madam, sorry for all these late replys by me actually after this interview I had to appear my interview for the post of a drug Inspector so was very busy. I know that new bloggers will definitely take inspiration from you and also will ask for help and tips and I also know that you will help them this is the most gracious things that a blogger does.. helping others. :) it was a nice time interacting to you.